As we are sure you’re (becoming!) aware, there are different varieties of the Morris from different parts of the country, e.g. Cotswold, North West Clog and Molly Dancing from Cambridgeshire, East Anglia and Essex. The distinct tradition from Leominster’s part of England has recently come to be known as the Welsh Border Morris. Until the revival, a Leominster Morris was last recorded as having danced in the very early part of the 20th century, when many of the traditions foundered, especially as a result of the First World War. They are described as having worn “print jackets.” There is no other information, so their kit is an interpretation of the old, scant description. 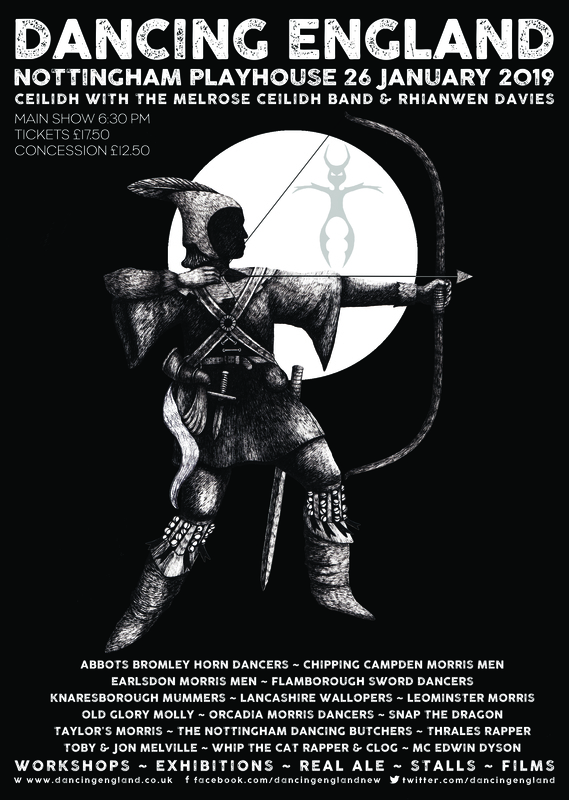 The current Leominster Morris was formed in 1983 by men who had danced in other sides, in particular Breinton Morris, but who found themselves living in and around the town, with a common desire to revive the old Leominster tradition. They dance predominantly local ‘Welsh Border’ dances, but also some Cotswold dances. In the winter they concentrate on the local dances, as this is the traditional time of year to dance in our county. 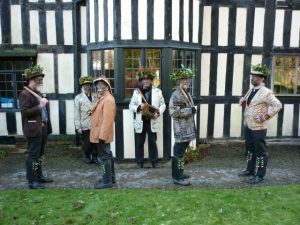 They wear their winter kit of black shirt and trousers with “print jackets” and they black our faces, as disguise – harking to the tradition of dancing whilst work was scarce in wintertime without recognition. From May Day until autumn Equinox they wear white shirts and do not black their faces, more akin to the Cotswold morris tradition. 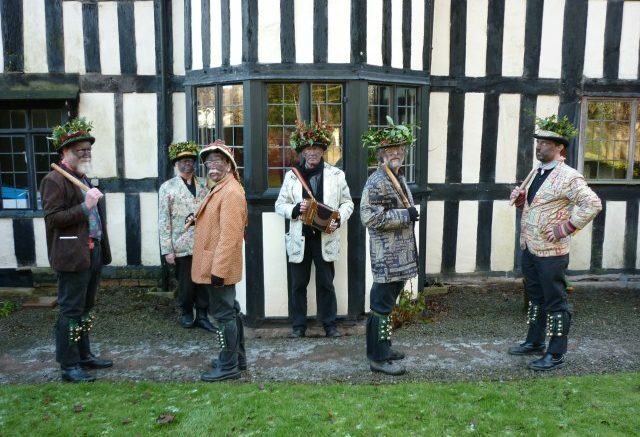 Be the first to comment on "Famous wassailers and morris dancers from Herefordshire – it’s The Leominster Morris"